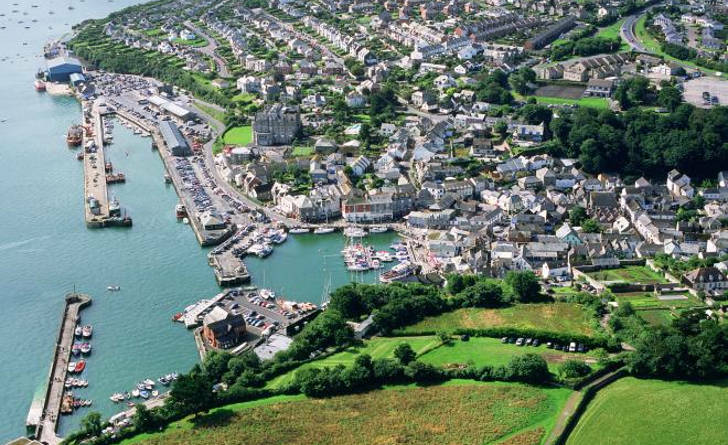 Padstow, a beautiful little Cornish fishing town, located on the North West bank of the River Camel it provides a well sheltered safe haven for boaters and makes an excellent base for those wanting to explore the North coast. Surrounded by sandy beaches and rocky bays, there’s plenty to do, see and explore by Rib around the local area. Just be mindful of tides as certain areas do dry out! Top this off with a range of award winning local restaurants serving freshly caught fish, most notably Rick Stein’s which has even donned the town with being referred to as ‘Padstein’.